The 2018 election is over a year away, but the misinformation about tort reform has already begun in earnest. For just one example of the hyperbole surrounding this issue, let’s have a look at a recent email sent by Col. Mike Ross. 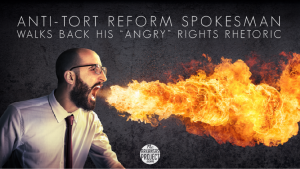 Ross is not the former Arkansas Congressman; he is, however, a representative of a relatively new anti-tort reform group called the Liberty Defense Network. When I see our rights under attack, I get angry. As a veteran, I am outraged to see Congress desperately trying to pass H.R. 1215, a law that could violate the Bill of Rights and limit individual rights nationwide. In fact, H.R. 1215 would strip our rights in a court of law when it comes to our own personal health and well-being in places like hospitals, clinics, and nursing homes across the country. 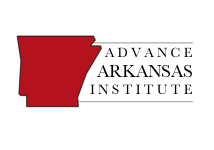 An initiative on the Arkansas ballot in 2018, Issue 1, would put the same kind of arbitrary caps on the citizens of our state that Congress and these special interests are trying to pass nationwide. H.R. 1215 passed the House this summer with largely Republican support. It hasn’t been brought up for a vote in the Senate. The legislation would put a $250,000 cap on non-economic damages in medical malpractice lawsuits at the federal level. All members of the Arkansas House delegation voted in favor of the legislation. When I asked Ross in an interview about what rights are “under attack” in the federal bill and Issue 1, Ross said he didn’t think he’d said such a thing. Maybe he didn’t say it, but somebody sure said it for him — it’s right at the top of the statement that somebody sent out under his name. Ross said his main problem with the federal law and the state initiative was the caps placed on non-economic damages. I have a problem with us putting a cap on someone’s life…that this life is worth so much money. I don’t think it’s the government’s business to be doing that. I think they should be heard in a court of law with a judge and jury. Such caps on non-economic damages are already the law of the land in about half of the states — and, despite Ross’s rhetoric, our state and federal Constitutions remain safe and sound. When presented with these facts, Ross said he still opposed such limits. I feel everyone should be entitled to a fair trial of their peers and let their peers decide it. It needs to be decided by a judge and jury. Judges sometimes reduce the dollar amount of verdicts proposed by juries — this is a judicial remedy known as “remittitur” that courts use to moderate excessive or unjustifiable verdicts. When I asked if remittitur was a violation of “individual rights,” Ross dodged the question — only saying that he opposed the “blanket caps” contained in H.R. 1215 and Issue 1. Ross also said he was unsure if another provision of H.R. 1215 was good policy — the part that would grant medical professionals like doctors and pharmacists immunity from product liability and class action lawsuits when their only contribution was to prescribe or distribute medications. I need to really look at that one. If they’re working in good faith and they’re prescribing medication in accordance with what they’ve been taught and what the protocol is…it shouldn’t be an issue in the first place. My biggest concern is more so with the incompetence or dereliction…those type of things. Ross also told me that he didn’t know what the “reform” in tort reform meant. In general, reform means changing the status quo. Arkansas is currently suffering under the status quo of its tort climate — which means we lose jobs, medical professionals, and economic growth to other states. 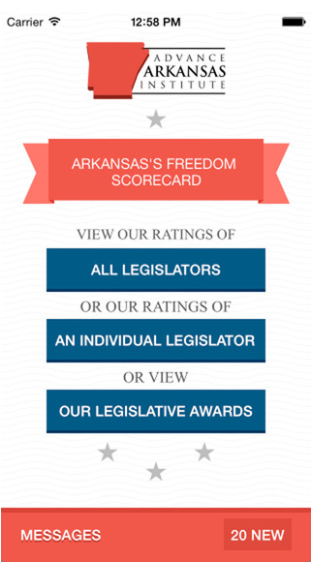 Only time will tell if Arkansas voters will let misnamed groups like the “Liberty Defense Network” convince them that this is a good thing. ← Academic Freedom at U of A, RIP?